What Is the Difference Between a Contract & a Proposal? A contract must contain four elements to be legally enforceable: an offer, consideration, acceptance of the offer, and mutual agreement by the parties involved. A proposal simply is an offer designed by one party and offered to another to provide a solution or service, or to make a sale. On those merits alone, a proposal is not enforceable in the way a contract is. However, according to Austin, Texas attorney W. Michael Murray, when the parties mutually agree on key elements in a proposal, the legal and enforceable lines of a proposal begin to mirror those of a contract. If you become embroiled in a contractual legal dispute, the court will look for evidence of a basic contract. If one or more of those elements don't exist or aren't reasonably apparent, an argument could be made that a valid contract doesn't exist. A proposal often is one of the steps taken that leads to a contract. It contains the offer that is necessary for a contract to exist. One party offers or proposes to do something that the other party needs or wants. It can be selling an item or performing any kind of service, from writing a book to cleaning a house. An offer not to do something also can be a valid part of a contract. If someone offers to pay you $5,000 to write a book, he is offering you something of value in exchange for your services -- known as consideration. Money is an obvious indication of consideration in a contract, but not the only one. Consideration only has to have value to the parties in the contract; what you want in exchange for a service may not be something your neighbor or co-worker would want. It can be a promise to do something in exchange for something else. Consideration is what entices the parties involved to enter into a contract. Sometimes parties will exchange nominal consideration, such as $1, just to ensure that consideration is evident in their exchange to prove that a contract exists. Both parties must accept the terms outlined in the contract -- a mutual acceptance. This acceptance can be measured by payment, words or performing the services as outlined in the contract. If one party accepts the terms but the other one only accepts a portion, or attempts to change any part of it, than the offer that provides the basis for the contract has not been accepted. Instead, it's been rejected and replaced with a counter offer. Mutual and complete agreement can get murky. According to Murray, a contract is enforceable if the parties agreed on the material issues of a contract even if those issues don't constitute all of the terms. This is particularly important in oral contracts. If two parties agreed solely on the material terms of the contract, a court of law could rule that the contract is enforceable even though not all terms of the contract had been met. The court would determine whether the terms were material -- or crucial to the formation and acceptance of the contract. Not all states recognize oral contracts as valid in all cased, particularly in real estate transactions. A proposal provides a solution to a problem, or fills a need or desire. Most business proposals are written in order to make a sale, not consummate one. By itself, a proposal has no binding legality. If you draft a proposal for another company offering to write a book, produce a video and write 12 press releases, your negotiating partner can accept just one part of the proposal, or accept the services for a different payment arrangement. If that happens, he is rejecting your proposal as stated and presenting a counter-offer. This then provides the basis for a contract that clearly outlines what you both found mutually acceptable in the proposal. 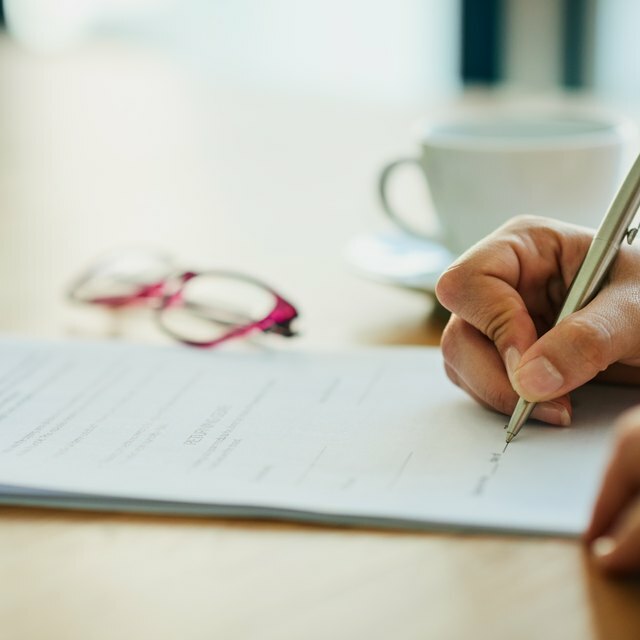 A proposal can become a contract if the other party agrees to accept the proposal in its entirety, even if you haven't drawn up the contract in writing that formally outlines the agreed-upon terms. According to Murray, one of the most famous cases that demonstrates how this can happen is Texaco v. Pennzoil. Although the case took place in the 1980s, it still stands as an example of how a court can rule that a contract can be born when two parties accept material terms of a proposal. In Texaco v. Pennzoil, Pennzoil agreed to purchase shares of another oil company at an mutually agreeable price. After agreeing to sell the shares, Texaco offered the company a higher price, and purchased the shares promised to Pennzoil. Pennzoil won its legal case that there was a breach of contract. Murray also notes that interim documents such as letters of intent or memoranda of understanding are not meant to be binding by both parties, but can be used to point to an agreement if things go awry. "So, when we lawyers draft interim memoranda, we go way overboard in making it clear that neither party intends to be bound by the terms of the memorandum, and that both parties represent that there are still material issues that have not been agreed to," said Murray.